Ownership / Access: Duke of Rutland. 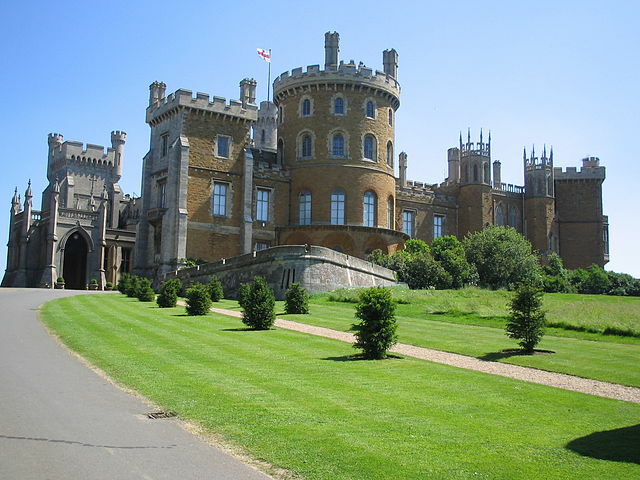 Notes: Belvoir Castle is a stately home in the English county of Leicestershire, overlooking the Vale of Belvoir (grid reference SK820337). It is a Grade I listed building. The castle is near several villages, including Redmile, Woolsthorpe, Knipton, Harston, Harlaxton, Croxton Kerrial and Bottesford, and the town of Grantham. Antiquarian John Leland wrote in the 16th century that the "castle stands on the very nape of a high hill, steep up each way, partly by nature, partly by the working of men's hands". A corner of the castle is still used as the family home of the Manners family and remains the seat of the Dukes of Rutland, most of whom are buried in the grounds of the mausoleum there.